Do you wish to receive a personalized offer of stay, or need further information? Please enter your data in the form below, detail your request and click on “Send request” to forward your message directly to the Partner Hotels, that will reply to you as soon as possible. Golf, with its noble and sophisticated aura, evokes the image of a sport that is expensive, elite and…terribly boring. These preconceptions, however, have been debunked through our staff interview with the Golf Club La Montecchia’s Pro, Giovanni Veronelli Mr. Veronelli, a professional golf instructor since 1977, accompanied us on a visit to the Golf Club during which we had a long introductory chat about the sport. To begin with, we need to approach golf as not only a sport, but a discipline of concentration. 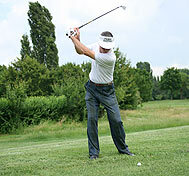 It is an exercise in search of the perfect swing that is practiced in a peaceful and relaxing natural environment. 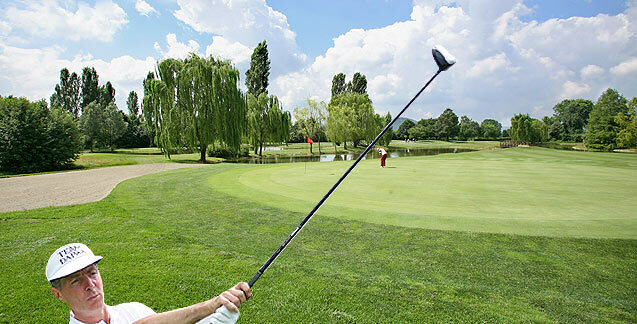 It’s no accident that golf is considered the most ‘internal´ outdoor sport of the Western world. In order to concentrate on the game, it requires the ability to free oneself from everyday thoughts and concerns. For British people, golf is simply “the game”; there is no further need to specify. From a health perspective, golf is a comprehensive activity which requires the harmonious use of leg, arm and body muscles. It also improves your concentration and coordination abilities. Further, it has been noted as beneficial in the rehabilitation of those with cardio-circular problems. So much so that American health insurance companies offer discounts to those who play golf as they are statistically less at risk for heart attacks! Not long ago, women in England were prohibited from the golf course; it was a sport reserved solely for men. 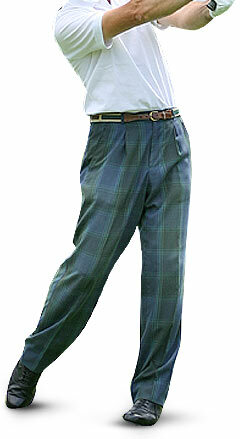 As a result, the belief that golf was shorthand for “Gentlemn only, Ladies forbidden” spread. Today, however, golf is practiced by many women denying the stereotype that it is a sport for fanciful, middle-aged men in madras trouser, polo shirts and sweaters. Here we have another common misconception: that it is necessary to adopt a particular dress codein order to play. From what we observed at the Montecchia Golf Club, the type of clothing worn by the players was whatever was most comfortable and practical, an impression confirmed by Mr. Veronelli. The only rule is: professional players cannot wear jeans. In addition to women, golf is loved by kids who practice it through entertaining group activities. Throughout history, many civilizations have practiced a sport in which a ball was hit by a club. The Romans, for example, practiced “paganica” in which they hit a ball made of cloth. In Holland during the Middle Ages, people played “kolf”, as seen in Flemish paintings. The real homeland of golf, however, is the place where it was first played and formalized: Scotland, in particular its Eastern coast. Initially golf was played by shepherds. Evidence can be seen in course bunkers (sand holes that are placed as obstacles before the green). Traditionally bunkers were the holes the Scottish shepherds dug in order to protect their herds. The game of golf became so popular in Scotland that it displaced the high art of war. As a result, in 1457 the King of Scotland James II banned it and in the XVI Century, the Church prohibited it from being played on Sunday. 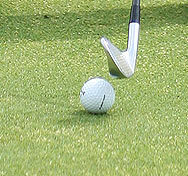 are usually used for the tee-off (the starting point of the hole). are used to hit the ball in different situations encountered along the hole; they are numbered and the iron’s angle increases in conjunction with the number. 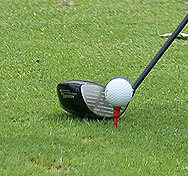 The choice of the irons depends on both the position of the ball and on the golfer’s experience. is used to hole out once the green has been reached. Chipping: to hit the ball with strength. Fairway: (comes from marine slang): the part of the hole leading to the green. Here the grass is precisely cut. Green: the final part of the hole where the flag is placed.